Posted in: HongNor, Radio Control. Tagged: Featured Products, RC. 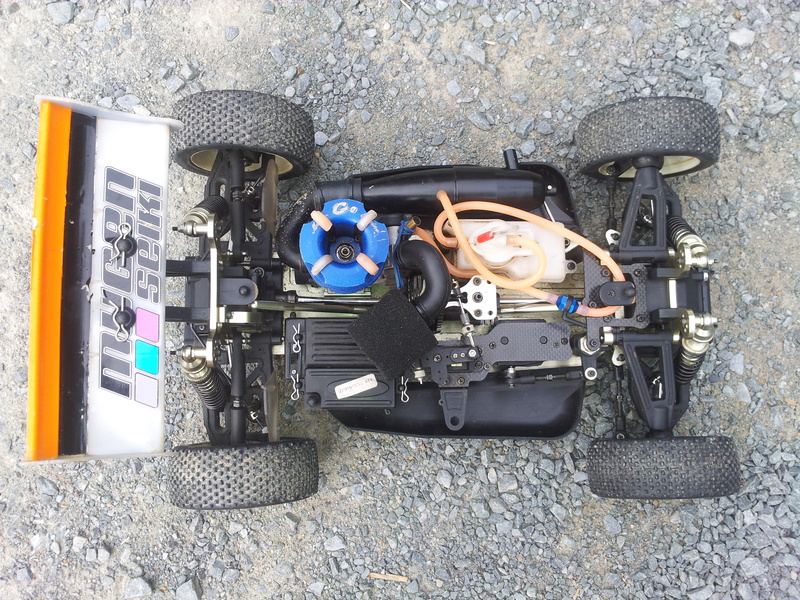 The RD Logics SHO is an older 1/8 Nitro buggy I picked it up brand new off of EBAY. This one was built from a roller as some things are not what you would get as the RTR from Horizon Hobby. 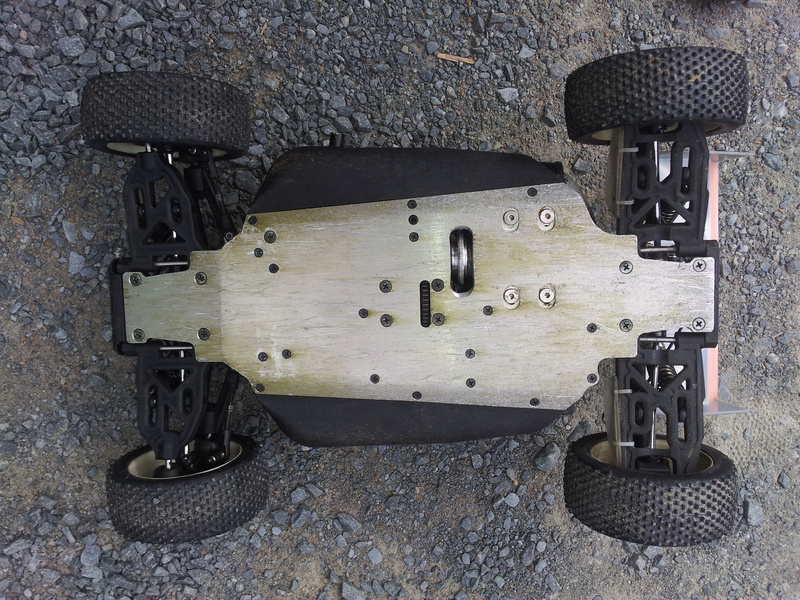 Under the hood you can see the layout is your typical nitro buggy nothing ground breaking here but it is the layout that works well for most. This buggy is very reminiscent of the MBX5 and I have found that some parts do fit from the MBX. 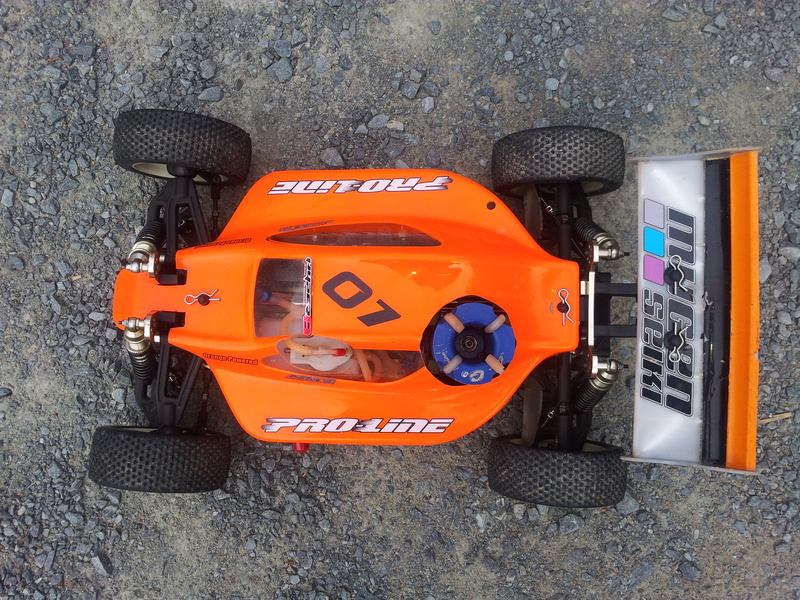 Suspension feels really good on this buggy the shocks are oil filled 14.5mm aluminum threaded fully adjustable. They handle big jumps and take on the little bumps brilliantly. There are multiple adjustments on the towers, swing arms, and hub carriers. all the links are adjustable as well so you can change your toe, caster, and camber. You can adjust this thing for any type of track. Steering has a bit of understeer and does push a bit in the corners but it is not too much and seems to be just the right amount so you’re not pushing out of the corners to far. Handling, well it is 4wd and that works really well in the dirt, it begs you to throw it into a corner and it holds it line well with a little of the understeer I mentioned before. As for jumping, this buggy flys nice and even and when you get it wrong a little throttle or break brings you back in line, landing a little less than perfect doesn’t seem to upset this thing all that much either. Brakes are good they are enough to bring the buggy down from full speed well, but could us a little more initial bite for getting stopped into tight corners. Engine is not what would have come with this car from the start. It is a GO .28 and this thing delivers mountains of power on the top end, on the bottom I would like a little more but I may be able to change that with a carb insert. 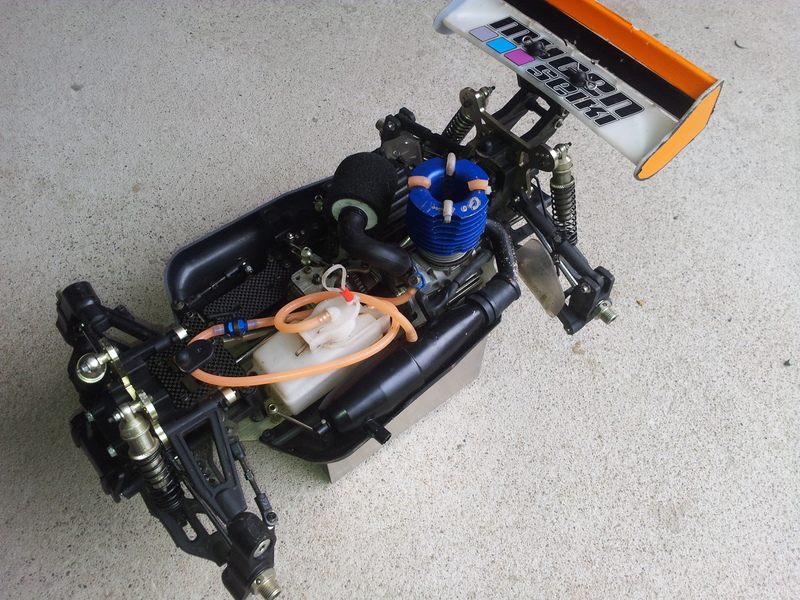 That being said it runs along like a top without too much trouble just the normal things that come with running nitro. The HongNor HNT-3 2.4HGz radio is nice, it has 3 channels and all your main adjustments, trims, dual rates, and end points, as well as a fail safe button. It feels good in my hand, I have smaller hands but I don’t believe someone with bigger hands would have any trouble. The only thing I dislike is that you need 8 AA batteries where most now have only 4. Durability is excellent I have not broken anything on this buggy. One thing that is showing a bit of stress is the wing but it has taken a few good hits and this is what hits the ground first in a rollover. And on a side note just remember to loctite most everything and check after every run to make sure nothing has come loose. Parts are getting a little harder to get now but there is still lots on ebay and a few shops and RD Logics still carries all the parts so you can order them. 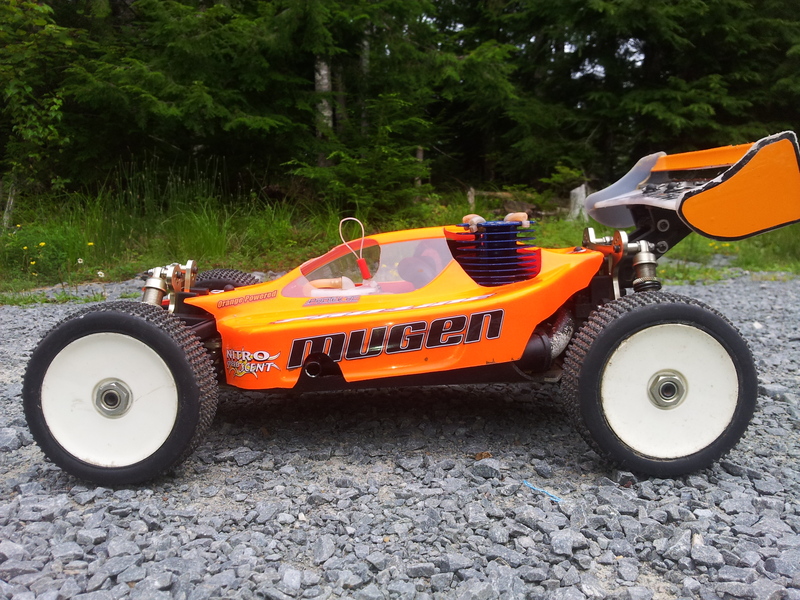 conclusion is that this is a great buggy to bash with or race, it my not beat the mugen and Xray high-end buggies at the track but will have more money in your pocket for a beer after the races.